Meanwhile, would authorities be this sanguine about the threats to Robinson and his wife if the Robinsons were Muslim and the one threatening them was non-Muslim? What do you think? Just another day in Theresa May’s shabby little police state. 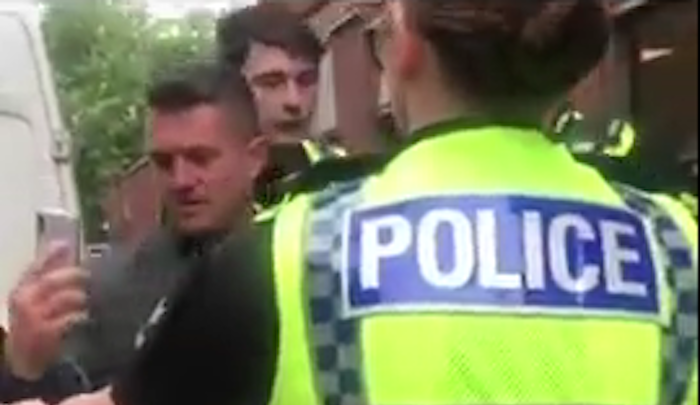 “Tommy Robinson Lawyer: Judge Did Not View Evidence, Islamists Threatening Acid Attack on Tommy’s Wife,” by Liam Deacon, Breitbart, July 21, 2018: The judge who rushed to send activist Tommy Robinson to jail did not even watch the full video in which he supposedly breached contempt of court laws, his lawyers have claimed. He is currently being held in segregation for his own safety in prison, but a radical Islamic extemist has managed to deliver a message to his cell threatening to kill him and attack his wife with acid. The message was reportedly from jailed terror supporter Sayful Islam, from Robinson’s hometown of Luton, and used his spouse’s full name, The Times reports….